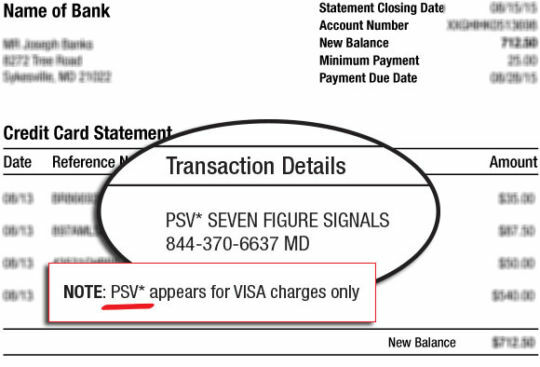 What is PSV*Seven Figure Signals? It’s because you have subscribed to one of Agora Financial’s financial newsletters by the name of Seven Figure Signals. If you’re having an issue with your subscription or have a question about the billing for Seven Figure Signals, please contact our customer service department. We’d be happy to help you out! You can contact customer service by phone or email using the contact information below. Email us at feedback@agorafinancial.com and one of our Customer Service Representatives will get back to you as soon as possible.